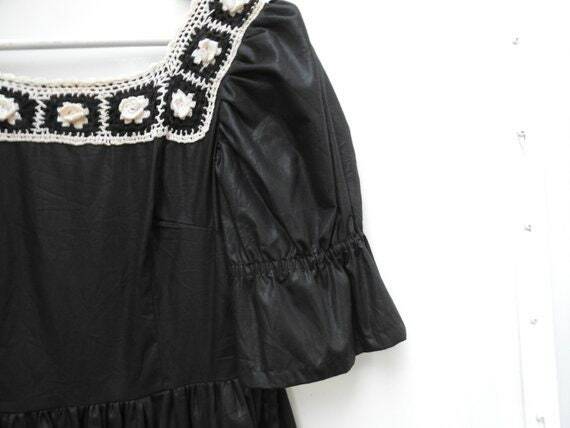 Black crochet midi dress, crocheted with puffy sleeves. 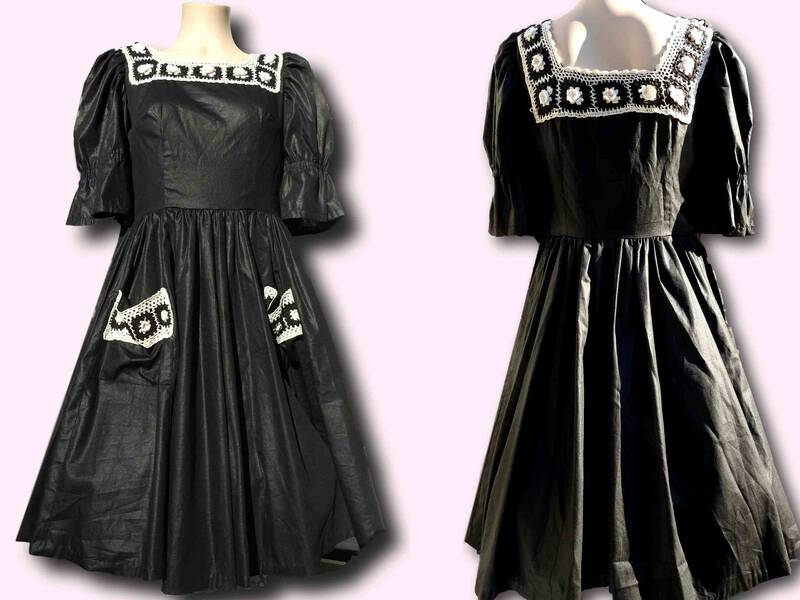 Let yourself be seduced by black crochet midi dress! 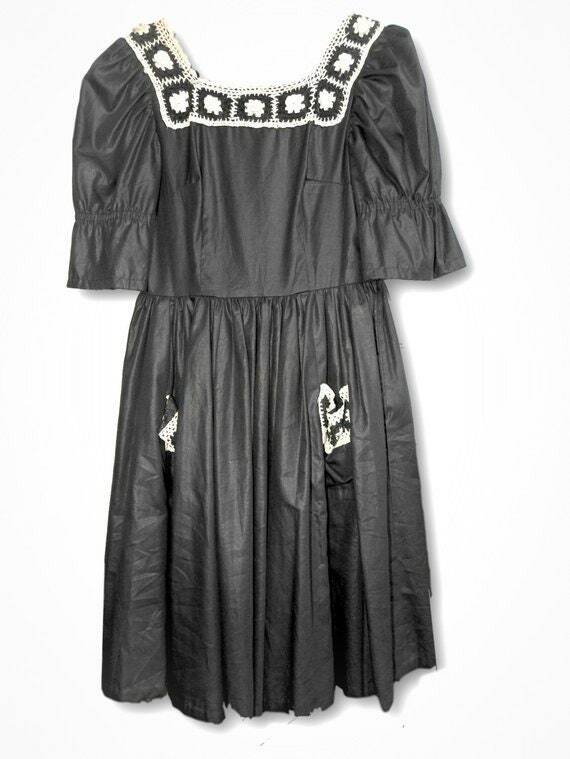 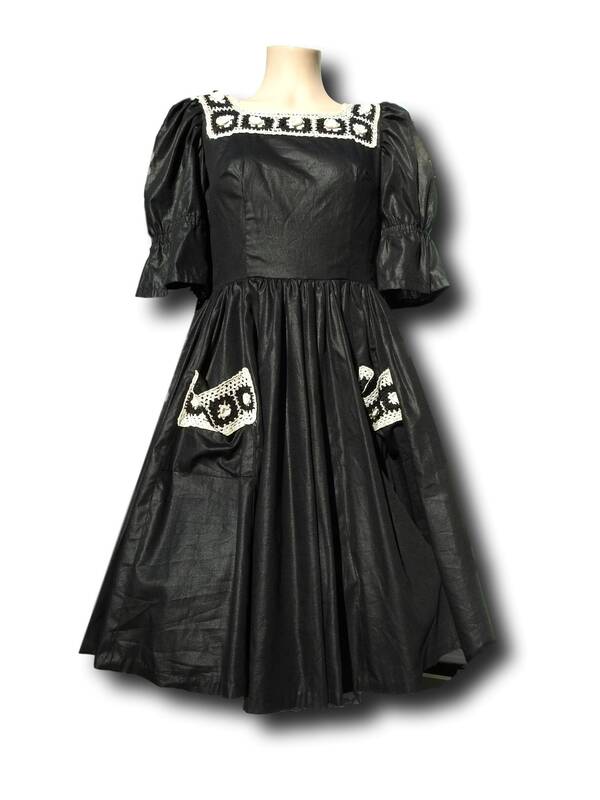 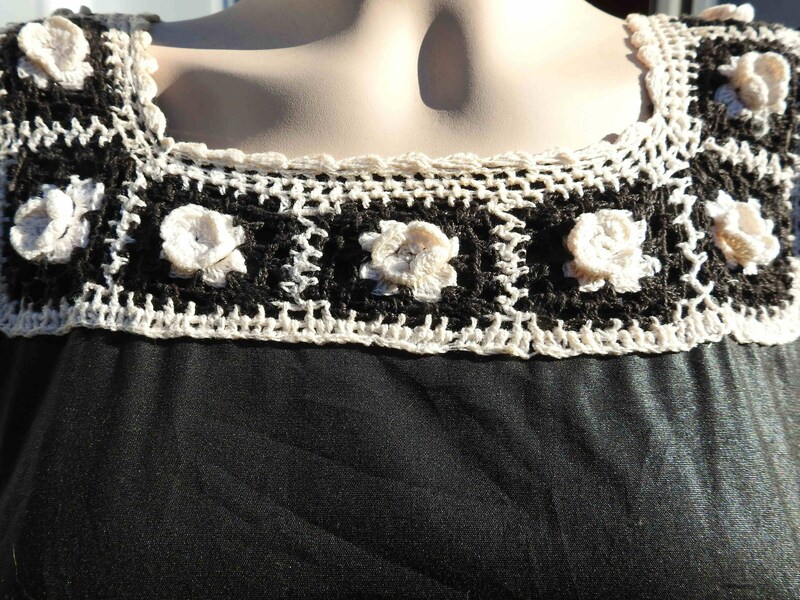 You like puffy sleeves and crocheted dress, you will love this black and white hourglass dress. 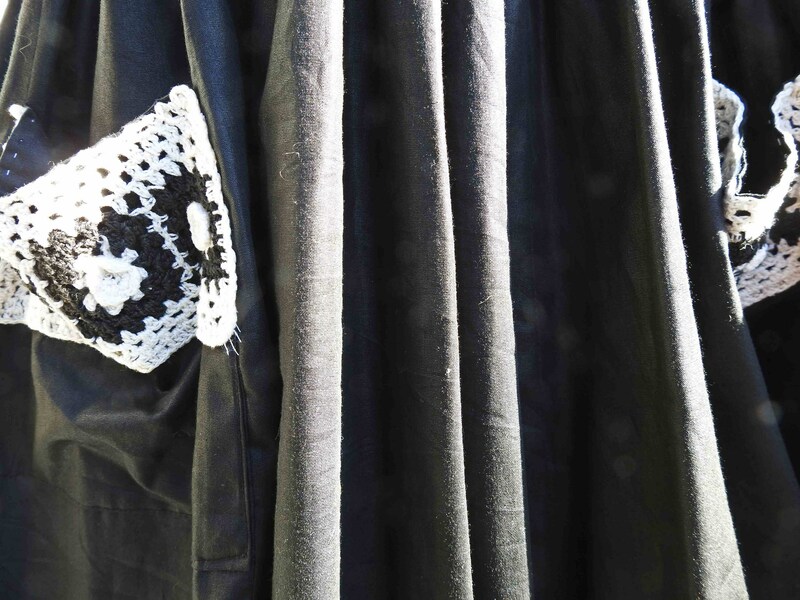 ● This day is crocheted around its square neckline. 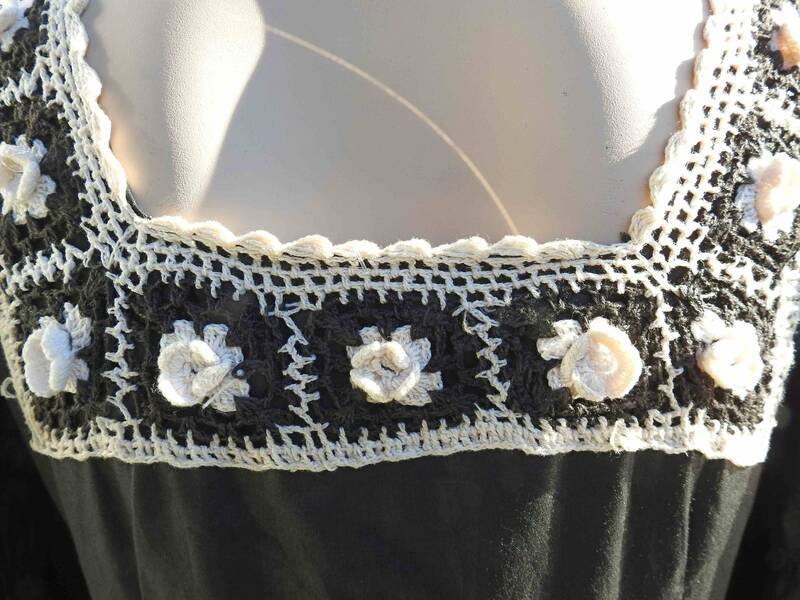 ● Nice black and white crochet handmade work, floral style. 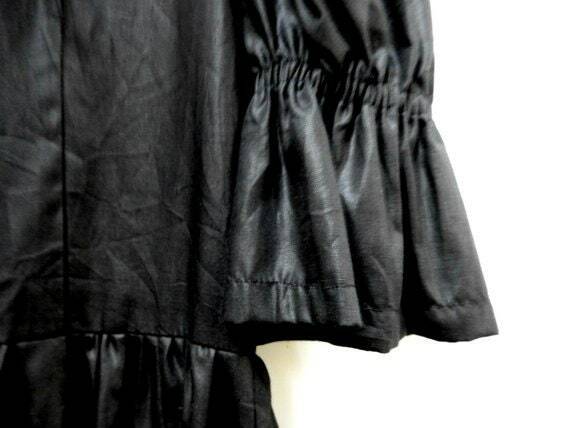 ● 2 little and cute pockets on the front dress. 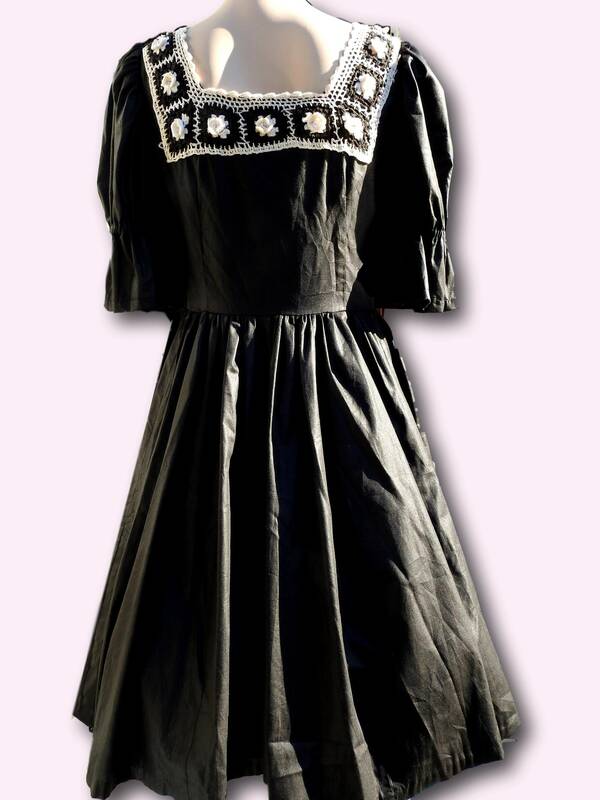 Thank you for exploring my little vintage boutique. You’re going to love this fabulous black and white bell silhouette dress.